Lake Garda is the largest lake in Italy, and one of the most beautiful. A deep blue glacial basin ringed by dramatic peaks, the lake looks almost like a Nordic fjord, but the climate is much more mild and the surrounding architecture distinctly Mediterranean. The lush Alpine landscape surrounding the lake is particularly picturesque, with soft tones of blue and green which change over the course of the day. 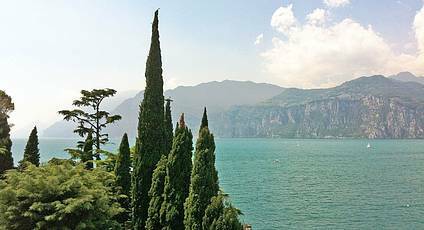 Though Lake Garda is near the Alps and resembles Northern Europe in many ways, its rich groves of olive, palm, cypress, and citrus trees and brightly flowering oleander hedges along the turquoise water's edge are a constant reminder that this lake is in the more temperate climes of Italy. 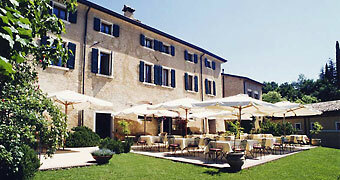 Lake Garda is a favorite destination for travellers looking for a relaxing, slower paced vacation. There are a number of hot springs and spas along the shores of the lake, trails and nature reserves for outdoor sports, pretty fishing villages and sumptuous villas to visit, and excellent local ciusine to sample. 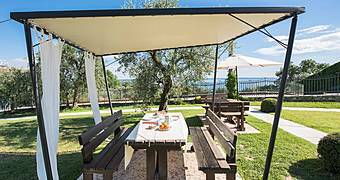 The villages along the eastern shore of the lake have a particularly romantic atmosphere, including Peschiera, Lazise, Bardolino, Garda, Torri del Benaco, Brenzone, and Malcesine. These are all tiny architectural gems, which beckon from their picturesque setting along this historic and beautiful lake.